All of our models can be custom-made to a special length/width. Some of our designs can also be manufactured to a special depth or height. Handmade in Long Eaton. 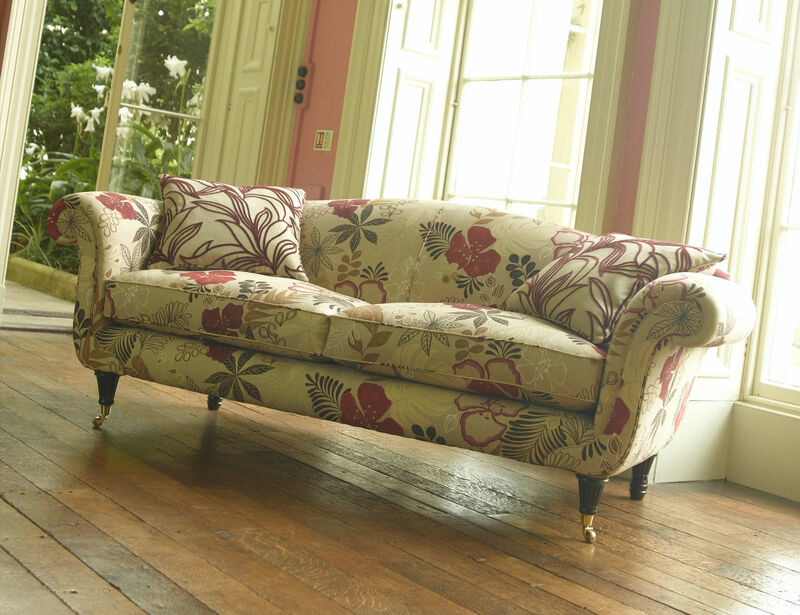 The home of the finest British upholstery. 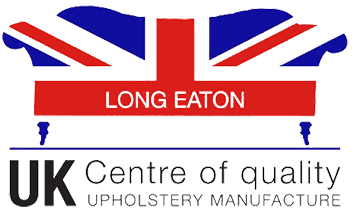 Our furniture is not just British made, it is designed and hand-made in our factory in Long Eaton, an East Midlands town which borders both Nottinghamshire and Derbyshire and which has been known for generations as the centre of upholstery manufacturing in England. We manufacture quality, hand-made upholstered furniture which is created by highly skilled craftsmen and women, using the finest materials available. We regularly make our furniture in customers own material (COM). If the fabric is suitable for upholstery and complies with the current UK furniture & fire regulations, we can use it. Our fabric cutters, sewing machinists and upholsterers are highly skilled and can turn any fabric, whether it being a complicated check, a stripe, or a large pattern repeat, into a perfectly matched piece of furniture. Please contact us for prices and required fabric quantities.